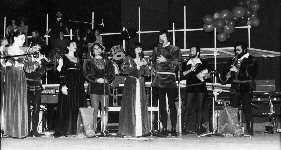 On November 4th,1971 in the hall of newly established Students Cultural Centre (SKC), the ensemble “RENAISSANCE” organized a concert of medieval and Renaissance court music. For the next ten years ensemble will attract numerous audience to the baroque hall of this institution, especially younger people. By 1980, in addition to its concert activities, the ensemble had also presented 15 premiere programms, among which the most outstanding were: “The Hunter's Trumpet” in 1972, “Songs and Dances of 16th Century” in 1974, “Drinking and Joking Songs” in 1975, “Musical Feast” in 1976, “All Those Who Are in Love” in 1977, “All the Goods of this World” in 1978, “Rose of Roses”, “Who Will Give You More Light”, “With My Love”, “Oh, Beautiful Band” all from 1978, “Who Wants to Learn Galliard” and “Those Crazy Middle Ages” from 1979. Thanks to it's attractive programms, excellent performances and the skill to always create a rapport with the audience consisting of people from all walks of life, ensemble “RENAISSANCE” always filled the seats to capacity no matter where they performed. Initially, this fact was a sort of curiosity to the media: “We really do not remember having seen the SKC hall filled with public” (Borba daily, 15.12.1975); “The ever overcrowded halls in which the ensemble “RENAISSANCE” performs are undoubtedly indicative of their popularity among Belgrade public, especially among young people” (Politika daily, 1.2.1978); “The SKC looked unusual. The large hall was filled to capacity, even the passageways were overcrowded on both sides, and people even sat on the floor at the last night's concert of the ensemble “RENAISSANCE” (Veèernje Novosti, 16.11.1978). 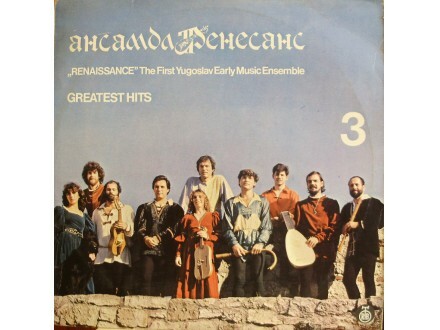 The ensemble began its numerous and important tours outside Belgrade and Serbia in 1975, with visits to Zagreb, Zadar (“Musical Evenings in Donat”) and Dubrovnik (Dubrovnik Summer Festival). 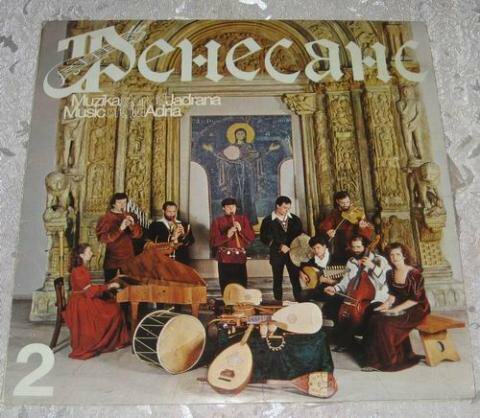 Critics reviewed every performance of the ensemble: “An extraordinary evening of early music” (OKO Issue 82, 15.5.1975), “A Pleasant Surprise of the Unknown”, “Maybe the virtuosos of yesteryear used to play on their instruments so vigorously and interestingly” (Radio Zagreb, 12.4.1975), “Three female vocal soloists and five instrumentalists delighted the audience. It's been a long time that at a such late concert we heard such shouts of praise and enthusiasm. The young artists from Belgrade delighted not only with their performance, immediacy and talent, but also with the manner and variety of their interpretation on unfamiliar and interesting instruments”. 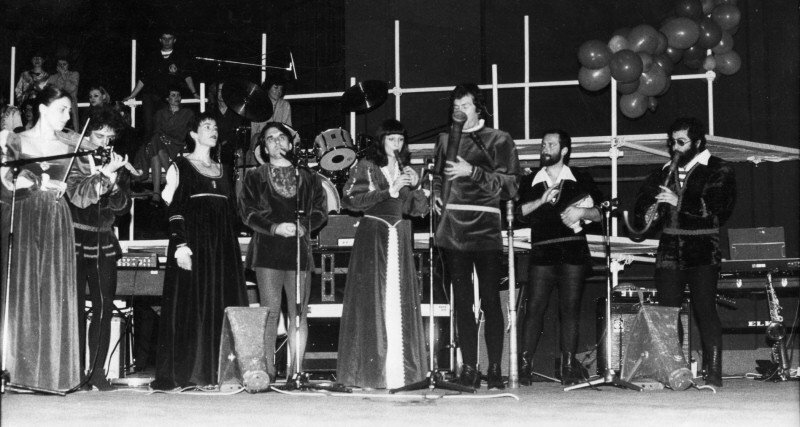 By 1979 ensemble “RENAISSANCE” had performed in all major cities of ex-Yugoslavia. In collaboration with Musical Youth of Serbia “RENAISSANCE” presented its programs in many college and university centers. 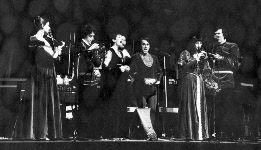 In 1979 the ensemble began its numerous tours abroad. That year they performed in Helsinki (Finland) and in Provance (France). 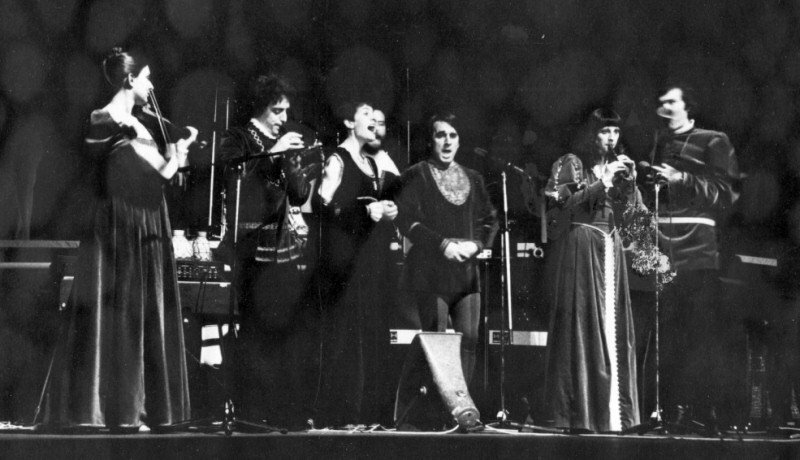 On 26th of April 1979, on the occasion of its tenth anniversary, the ensemble organized a big concert at the Atrium of the National Museum in Belgrade. 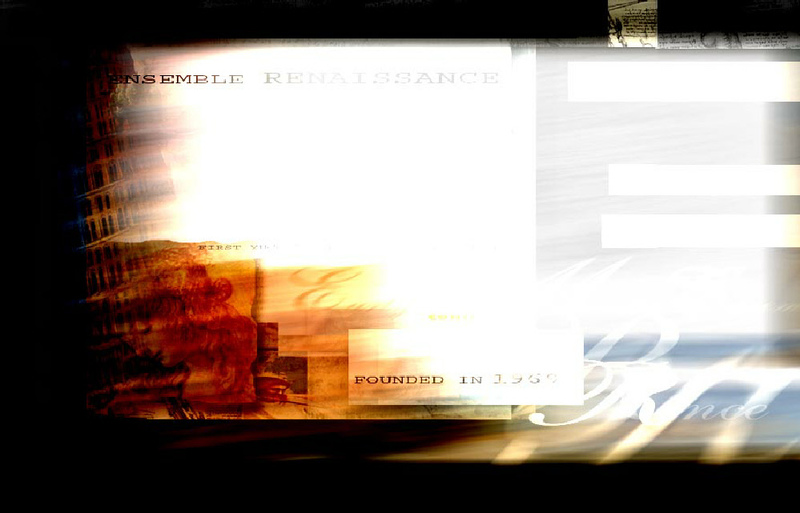 During their highly eventful international career, “RENAISSANCE” organized concerts all over Europe, Middle East and North Africa.